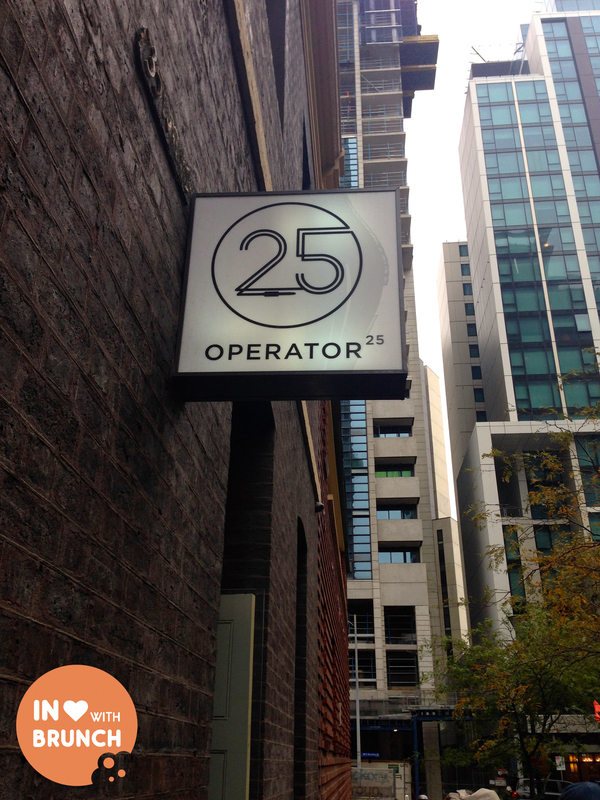 this morning, a few friends and i tried out operator25 for brunch… and oh my goodness, it was so good! set in a beautiful old heritage-listed building on will street in the cbd, this cafe is situated halfway between flagstaff gardens and the queen victoria markets. a perfect pre-cursor to a weekend shop through the delicatessen, or in warmer months, a run through the park. the coffee was fantastic, and consistently so across our 6 orders. full-bodied, smooth taste and a creamy, silky texture. 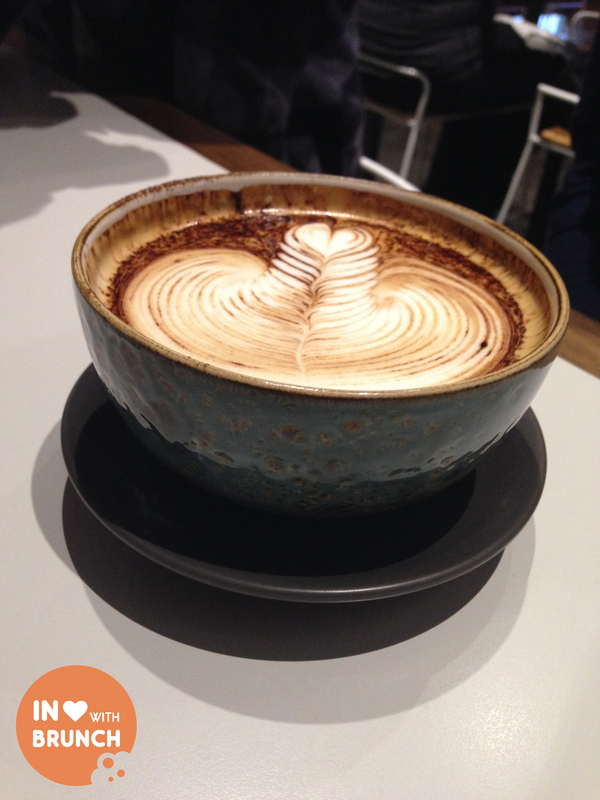 this was the large cappuccino, the size of two cupped hands – the perfect answer to a rainy sleepy saturday morning. 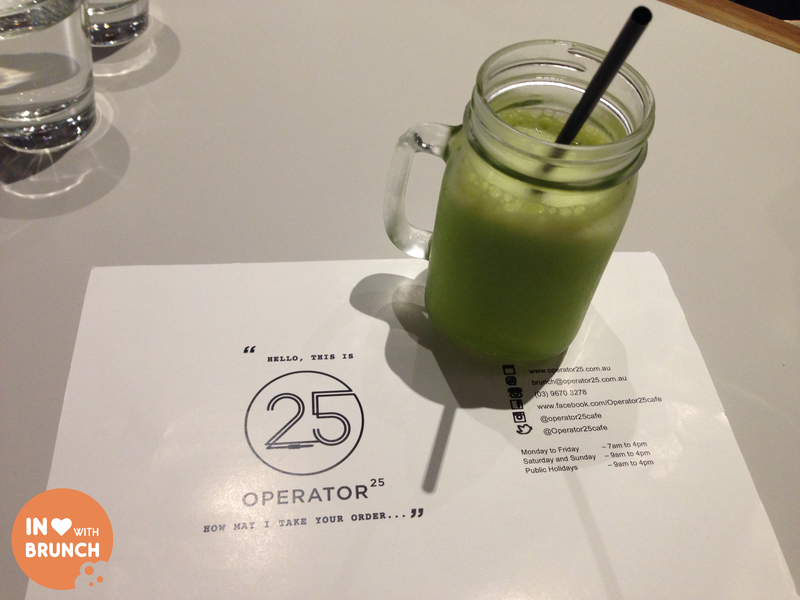 for a more refreshing and cold option, the freshly squeezed apple juice was naturally sweet and fresh. 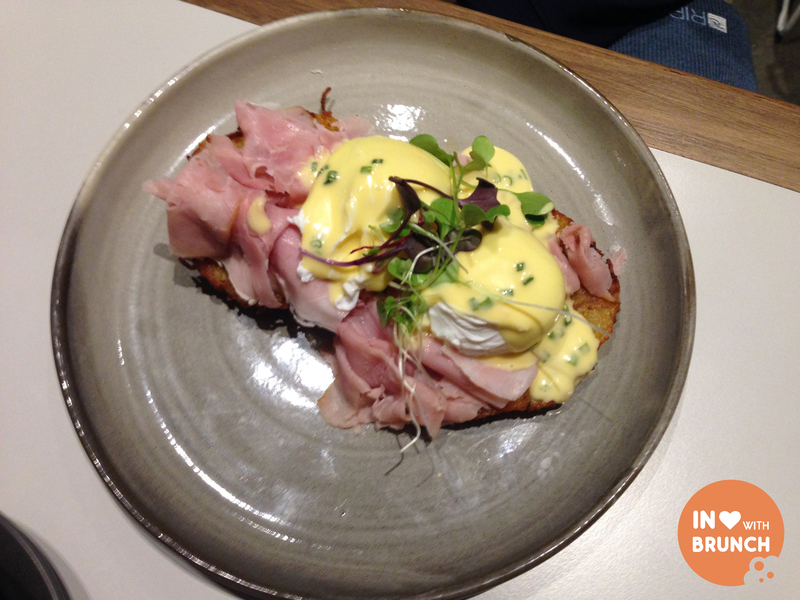 house benedict with potato rosti, grandmother ham, poached eggs + chives hollandaise. 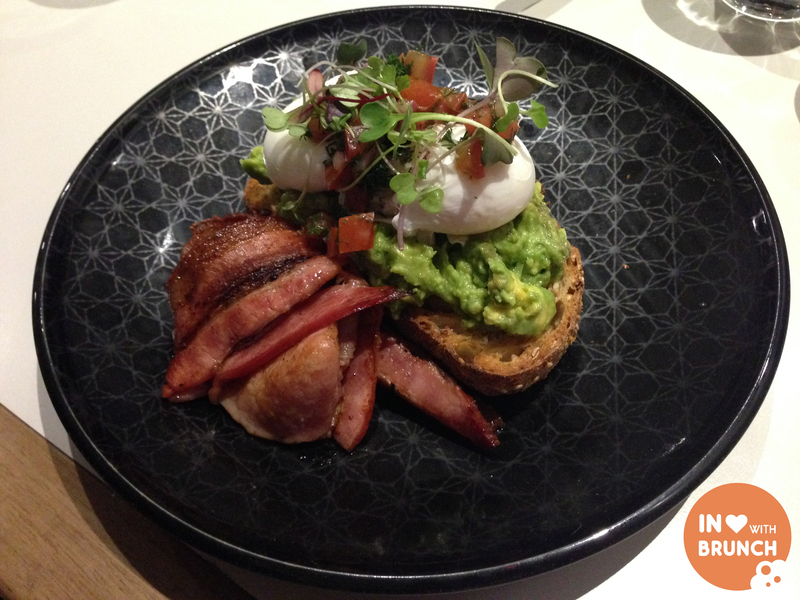 generous serving, perfectly cooked eggs, delicious flavour. non-traditionally this eggs bene was served on potato rosti (kind of like a hash brown) which was a lovely change to toast or muffins. gent #1 at our table was happy. smashed avocado on multigrain toast, two soft poached eggs with fresh tomato + dill salsa (with an extra side of bacon). ladies #1 and #2 at our table both enjoyed this and totally cleaned their plates save for the toast which was ‘a bit hard to cut’. eggs were perfectly runny and yellow and the fresh tomato + dill salsa added to the flavours of the dish. bacon was well-cooked and the right combination of crispy and meaty. and seriously, how good is the plate? i want them! 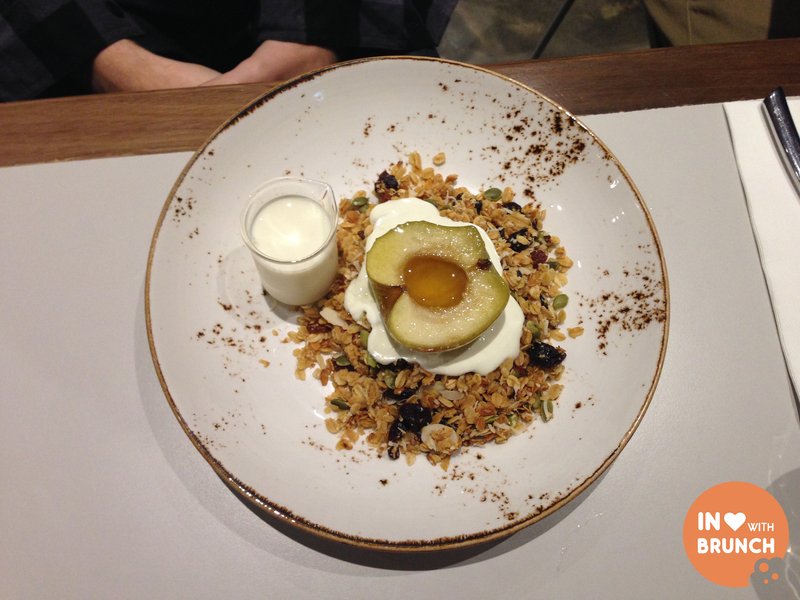 honey baked oats, dried cranberries, sultanas, coconut flakes, pumpkin seeds, almonds, poached fruit + natural yoghurt. the presentation of this dish was divine! the inside core of the apple was filled with a sweet apple sauce which tipped over the crunchy oats. the oats themselves were delicious… filled with fruits, seeds and nuts. believe it or not, this meal was a mere $9, an absolute steal for the quality of the produce and taste. don’t be fooled either, the serving size was generous, the plate was huge. gent # 2 (and husband) loved it. 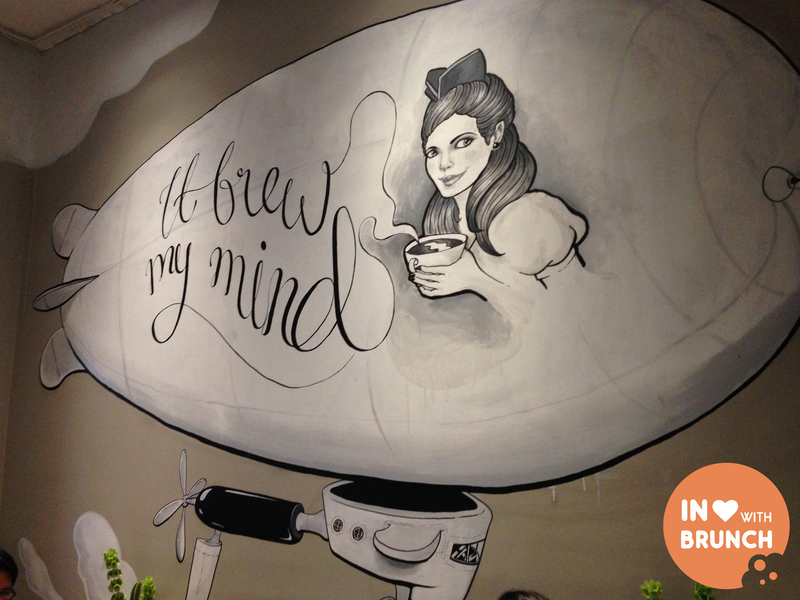 again… how good is their free pour art? some of the best i’ve seen in melbourne! 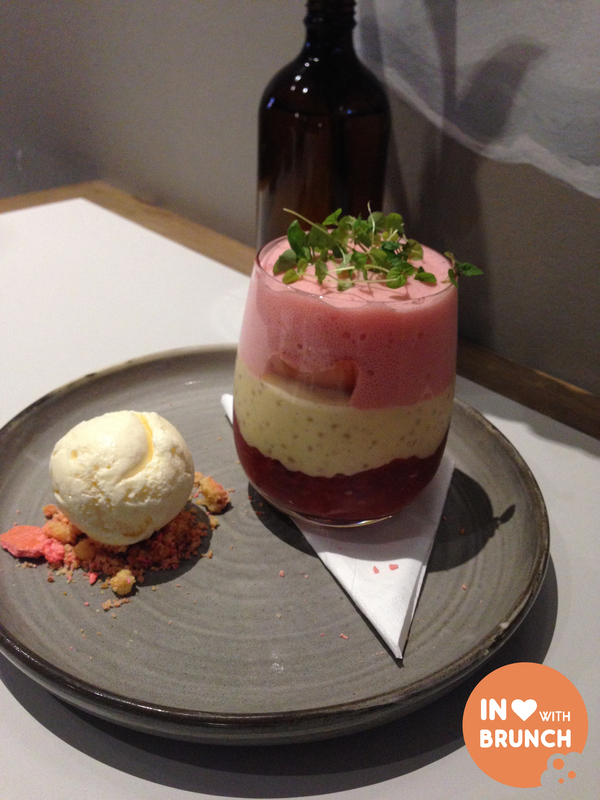 vanilla custard sago, rhubarb compote, raspberry foam, rose meringue and vanilla ice cream. i have not previously eaten a lot of sago. similar in appearance to tapioca pearls, sago is a starch extracted in the spongy centre, or pith, of various tropical palm stems, and often produced commercially in the form of “pearls” where it is boiled with water or milk and sugar to make a sweet pudding. however i recently had an amazing coconut sago dessert (at rice, paper, scissors) which is what drew my attention to this when i spotted it on instragram. so i knew before arriving today that this was what i wanted to try and in no way did i regret that decision! oh my goodness. so so so good. the presentation is amazing and the taste is even better! the raspberry foam has a fantastic light and bubbly texture and in between that and the sago are pieces of crispy rose meringue which are so yum. the rhubarb compote on the bottom perfectly offsets the sweetness of the vanilla and custard sago and meringue. this is a must try on the menu! finally, the service and atmosphere. i loved the long bench tables either side of the counter, making it feel more roomier and spaced out. the high ceilings aid to cut down the chatter and we found that it was easy to talk and have a discussion without feeling like we were yelling or having our conversations listened in to by those next to us. the copper pendant-lights and exposed brick walls were a talking point around our table, as was the quirky wall-art (photo below). staff were super friendly and i particularly loved watching the baristas. they took a great deal of care pouring each coffee, obviously very proud and passionate about their free-pour art. we were not made to feel rushed or hurried to vacate our table when our meal was over, and sat around chatting for quite a while which is a rarity in other cafes. i would come back here in a heartbeat, and in fact think it might become a new one to the add to the regular list. p.s. i am also dying to know where they’ve purchased their crockery from – serious envy!